This product is intended for A/V integrators who are highly skilled at configuring audio visual systems. These integrators are not trained in graphic or interaction design - which is why Extron provides templates as a base for their touch panel projects. Extron manufactures A/V equipment, but does not install equipment for the end users. 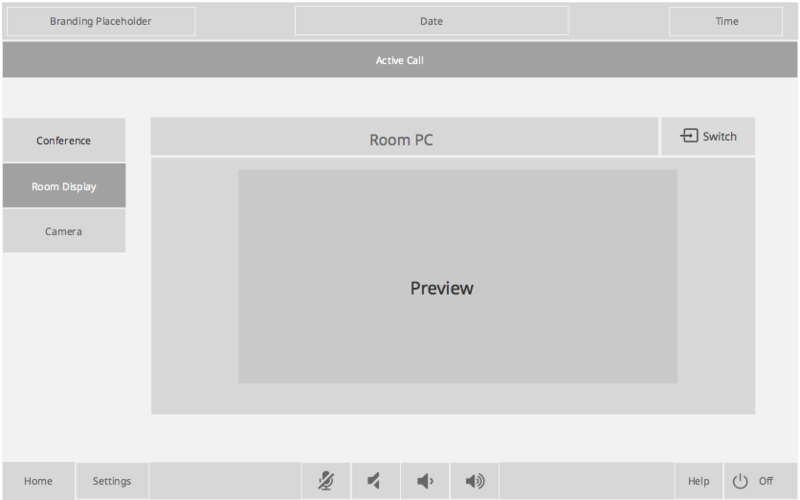 Touch panel templates provide our integrators or third party installers the opportunity to have a starting point for common projects such as setting up a touch panel for video conference use. 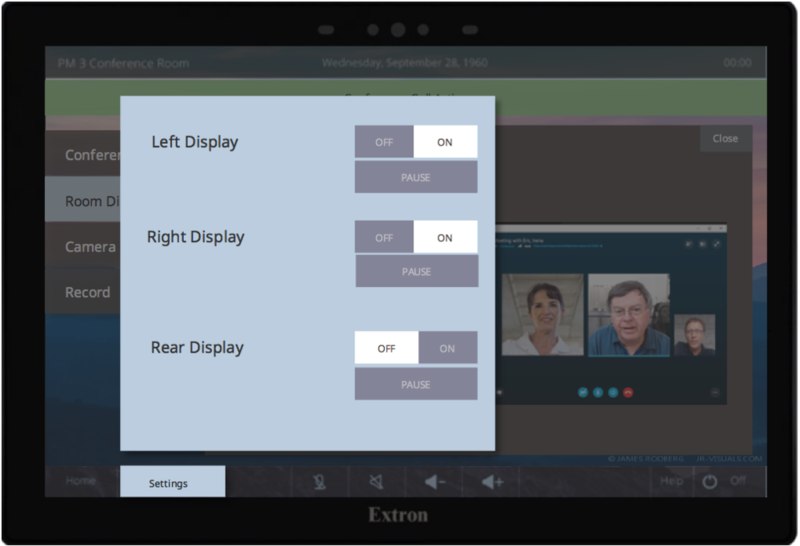 Extron's touch panel products either rest on a table, or an the wall and require user interaction to control various room settings. 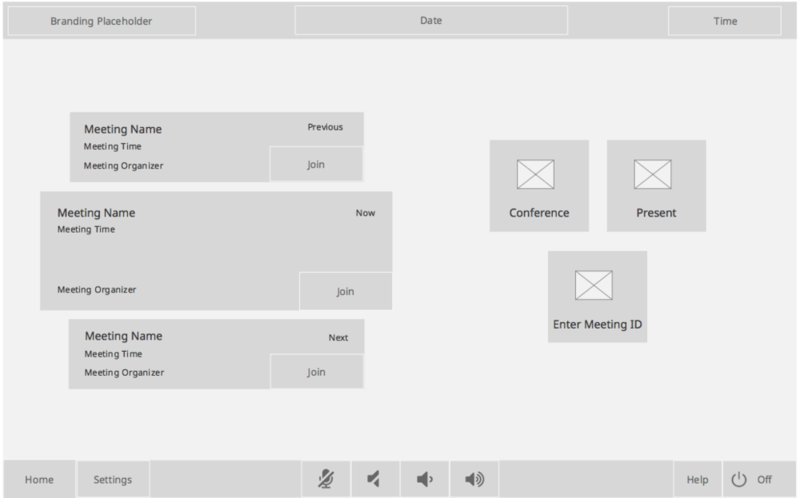 Extron's Turbulence template which represents an all inclusive style workflow where all options are one or two presses away. 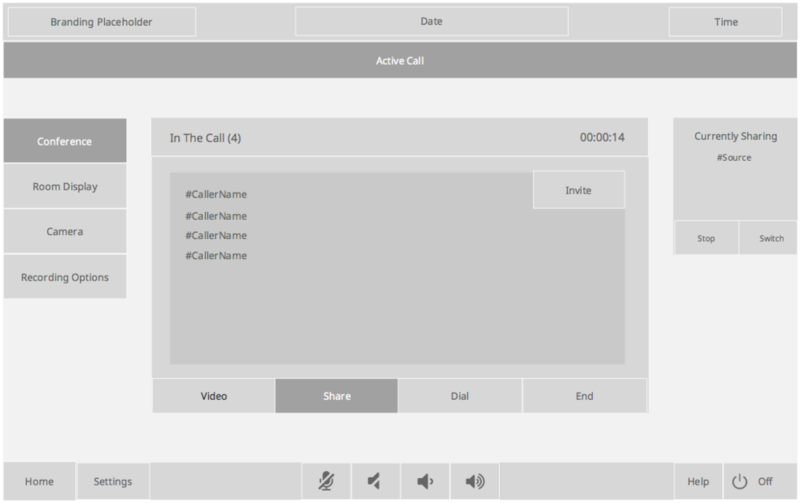 An example of a video conferencing workflow in an earlier template. 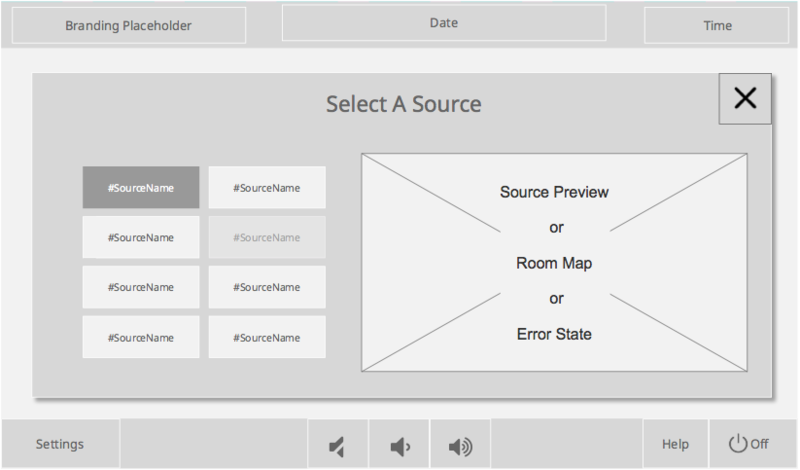 Provide a more contextual experience for the end-users (for whom the integrators create touch panel designs). Mimic workflow patterns from other similar experiences to instill confidence in end-users. Recommend an activity-based approach rather than an all inclusive design. Provide an easy way to apply co-branding for the integrators. Provide an updated and modern appearance consistent with popular mobile devices. Observing integrators in the field creating and troubleshooting their touch panel devices. Setting up usability tests where participants would attempt to perform tasks such as making a video conference call. I ran a baseline test on the current templates to understand how end users approached this type of design. I studied competitor products, and similar technology to understand the user's expectations regarding these types of products. I also interviewed the integrators to see how we could improve the template experience for them. I ran several more usability studies to evaluate the effectiveness of new concepts, new workflows, and impressions regarding the updated appearance. 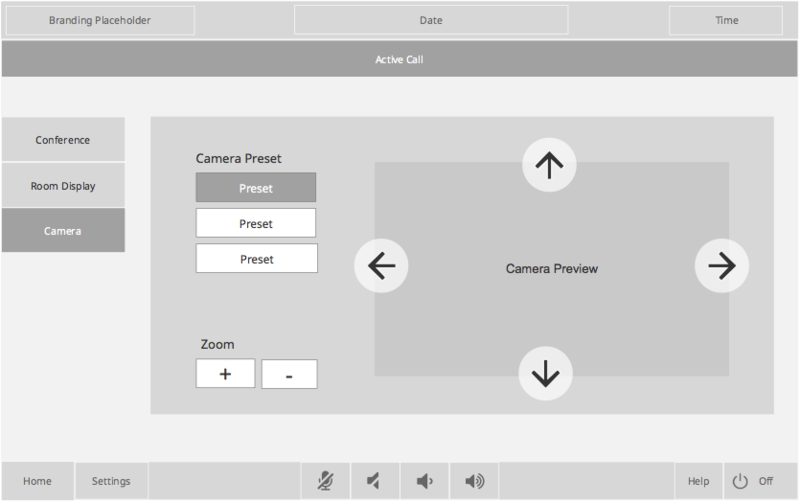 After hundreds of wireframes, several rounds of internal and external testing, our virtual teleconferencing product is expected to be available in Q1 of 2019. 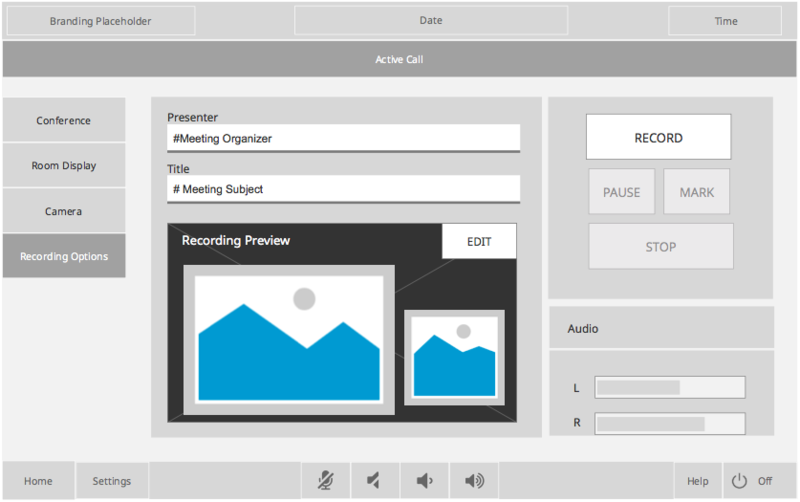 Our template will also be deployed in every office, and serve as the new standard for teleconferencing capabilities. Our new template loaded on one of Extron’s touch panels.